Minnesota is known as the land of 10,000 lakes, although any resident worth his or her salt knows there are actually 11,842 lakes dotting the landscape of the North Star State. The unassuming border state is always high up in the rankings for best places to live, work, bike and be really, really cold for several months on end. But what Minnesota isn’t known for these days? Poverty. Minnesota’s poverty rate has gradually dropped since 2014, when it was 11.5%. As of 2016, it’s 10.8%, one of the lowest in the country, and below the national average of 12.7%. But despite the state’s generally rosy financial outlook and cushy median income of $63,217, there are still many cash-strapped Minnesotans who rely on costly payday and title loans to get by. Payday loans, which are short-term, high-interest loans aimed at borrowers who need money between paychecks, typically to cover bills, are legal in Minnesota. The agreements commonly require borrowers to pay back the loan in 14 days upon receiving their next paycheck. In Minnesota law, the term “payday loan” isn’t used. Rather, what function as payday loans are governed by a few different laws. Payday loans generally describe two types loans in Minnesota: consumer small loans and consumer short-term loans. Yes, they sound awfully close. They’re defined by two different — but similar — laws, distinguished by the loan amount and who can issue them. Technically, the term “payday lender” is not used in Minnesota law. Instead, these kinds of loans are defined by Minnesota Statutes Section 47.60 as “consumer small loans” and “consumer short-term loans,” which sound like the same thing, but are actually different kinds of loans that are governed by different kinds of laws. Minnesota Statutes Section 47.60, which went into effect in 1995, regulates consumer small loans up to $350. Minnesota Statutes Section 47.601 governs consumer short-term loans up to $1,000, which operate like payday loans but aren’t subject to the same interest regulations as consumer small loans. This law went into effect in 2009. Both of these products are essentially payday loans by a different name. There are a combined 115 licensed locations offering these two types of payday loans. Here’s how it breaks down: There are 32 licensed consumer small loan lender locations in Minnesota (remember: loans up to $350). Only 32? It sounds like a small number, doesn’t it? This is where Minnesota gets tricky. Stay with us. Minnesota’s Commerce Department issues licenses under three types of lending categories: consumer small loan loans, industrial loan and thrift, and regulated lenders. We’ll focus on the first two. While there are 32 locations lending up to $350, there are an additional 83 industrial loan and thrift lenders licensed to issue consumer short-term loans (the ones between $350 and $1,000). However, not all of the 83 licensed companies are necessarily in the business of offering such payday-style loans, because they can make other loans up to $100,000, according to the Minnesota Commerce Department. The third category, regulated lenders, are authorized to make consumer short-term loans, similar to industrial loan and thrift lenders. But they generally deal in longer-term loans. Thus, regulated lenders aren’t our concern here. Compared to the 115 eligible “payday” lenders in Minnesota, there are 282 McDonald’s restaurants in the state. For every 100,000 Minnesotans, there are two payday lenders and five McDonald’s locations. For now, it’s still easier to get a Happy Meal than a payday loan, but not by much. Unlike in many states in the nation, a payday lender issuing loans to Minnesota residents does not need to have a physical location in Minnesota, but it does needs to be licensed. Loans made on the Internet are covered under Minnesota Statute 47.60. 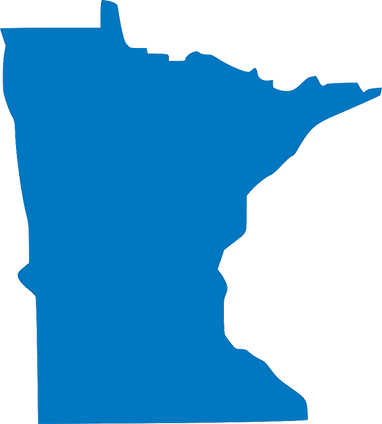 If you’re unsure whether a lender is licensed in Minnesota, look them up here. In 1939, Minnesota passed the Small Loan Act, allowing for loans up to $300 and 3% monthly interest. This marked the start of licensed lending in the state. But before 1995, when Minnesota passed the Consumer Small Loan Lender Act, payday lenders were illegal in the state. The law capped individual loans at $350. Between 1999 and 2012, payday lenders collected about $12 million in loan fees from Minnesotans. However, a payday lender can apply for an industrial loan and thrift company license under Chapter 53 of the Minnesota Statutes. Such lenders can lend more than $350 specified by consumer lender laws, can sell open-ended loans that avoid rollover restrictions, and borrowers don’t have to take a cooling off period between back-to-back loans with the same lender. For example, two payday lenders, Payday America and ACE Minnesota, accounted for two-thirds of the 333,000 legal payday loans and nearly three-fourths of the $128.6 million loaned out in Minnesota in 2015, according to a 2016 Star Tribune article. Those two companies have industrial loan and thrift licenses, allowing them to loan more than $350 as specified in consumer small loan laws. A 2014 state legislative bill that would’ve put a cap on how many payday loans borrowers could take out did not end up passing. In 2017, the Consumer Financial Protection Bureau (CFPB) created a rule requiring lenders to determine whether borrowers can afford to repay their loans before issuing them. However, the pending Financial Choice Act could undo it, which could put vulnerable Minnesotans at risk. Particularly, Section 733 of the bill could undermine the CFPB’s ability to regulate payday lenders. The Office of the Attorney General advises borrowers to check with the Minnesota Department of Commerce to see if a lender is licensed to make payday loans in the state before signing up. Minnesota law caps the amount of fees that can be charged on payday loans at 10%, and follows a sliding scale up to $350. For loans $50 or less, the fee is $5.50. Between $50.01 and $100, the fee is 10%, plus a $5 fee. Between $100.01 and $250, 7% (minimum of $10), plus a $5 fee. Between $250.01 and $350, 6% (minimum $17.50), plus a $5 fee. For consumer short-term loans between $350.01 and $1,000, lenders cannot charge more than 33% annual interest, plus a $25 fee. The Office of the Attorney General advises Minnesotans to avoid payday loans that don’t meet these fee caps. Payday loan regulation is an active priority for the state’s commerce department. In recent years, Minnesota Attorney General Lori Swanson has successfully combated payday lenders that attempt to circumvent Minnesota law. There is no formal database tracking how many Minnesotans take out payday loans. One report estimates that 50,000 residents use payday loans at any given time. A November 2017 issue of The Minneapolis Star Tribune includes a story about a woman who took a $400 loan from Payday America in 2011. For 5 years, she paid $30 to $40 biweekly for another loan of $200 to $400, paying interest rates of 250% or higher over a year. She fell into a cycle of debt, which was only alleviated when Exodus Lending, a service based out of a Minneapolis Lutheran church, helped her to refinance. The group pays off clients’ predatory loans, and in turn, clients pay Exodus with no fees or interest. Exodus Lending requires its clients to open a savings account, and it teaches basic personal finance and budgeting skills to help people avoid the payday debt spiral. Minnesota is one of 20 states in the country that allow title loans. While payday loans allow people to borrow against an expected paycheck or bank account, auto title loans provide short-term cash using the consumer’s vehicle title as collateral. The lender can take possession of the vehicle if the consumer misses payments or doesn’t repay the loan on time. In Minnesota, title loans can be made by a pawnbroker, a payday lender, an industrial loan and thrift (ILT) company, or a regulated lender. Before 2013, pawnbrokers making title loans were governed under a different state law than payday lenders, ILT companies, and regulated lenders, meaning that anyone except a pawnbroker could use a loophole to offer title loans for high rates. But in 2013, the state legislature passed Section 47.602, which created one set of rules for anyone making a title loan, whether it’s a pawnbroker, payday lender, ILT company, or regulated lender. According to a spokesperson for the Minnesota Commerce Department, the state does not have a specific license for auto title lenders at the state level. Pawnbrokers are licensed at the municipal level. However, according to state records as of March 2018, there were active 83 industrial loan and thrift companies and 49 regulated lenders operating in Minnesota. Pawnbrokers who are also licensed as used motor vehicle dealers may also hold a motor vehicle title as part of a pawn transaction. They are licensed by municipalities, not the state. Minnesota statute 325J.07 lets them charge fees, but not to exceed 3% per month of the principal amount in the pawn transaction. Additionally, they can charge a reasonable fee for storage and services, but it can’t be more than $20 if the property is not in the possession of the pawnbroker. Fees and Finance Charges:A fee for storage and services may not exceed $20 if the property is not in the possession of the pawnbroker. As we noted above, Minnesota’s Attorney General has aggressively, and successfully, settled with payday lenders within the last 10 years. The State’s Commerce Department is on the same page. Most recently, the department fined title lender Autoloans, LLC, of Boca Raton, Florida, $302,000 in November 2017. Autoloans illegally charged excessive rates to Minnesota consumers. The enforcement canceled the illegal loans, meaning consumers didn’t have to pay balances. This lifted liens on titles, too. Former Commerce Commissioner Mike Rothman pushed the Minnesota Legislature for several years to protect against consumer “debt traps,” which result in endless compounding loans that can rack up interest beyond principal balances. However, the state has yet to pass payday lending reform protecting consumers from debt traps. To report predatory lending or bad practices, file a complaint with the state’s commerce department here. In the online complaints section, choose the industry from the drop-down menu. There are four options: consumer small loans, industrial loan and thrift, payday lenders, and regulated lenders. Not sure which to choose? Call the department at 651-539-1600. The consumer protection email is: consumer.protection@state.mn.us. Exodus Lending, a Minneapolis nonprofit, is one active group that helps Minnesotans get out of payday lending debt. They offer counseling and refinancing options. Beware of scams that advertise debt resettlement. The State Commerce Department lists resources to look up legitimate services. “A Regulatory Small Loan Law Solves Loan Shark Problem” Law and Contemporary Problems. Accessed March 8, 2018.